Sierra Leone’s mineral deposits represent major opportunities for both potential investors and the country to derive significant benefits. The mining sector has been the backbone of the country’s economy since mining started in 1930. This is why the government is pursuing policies and programs aimed at making Sierra Leone an even more attractive destination for mining investment. 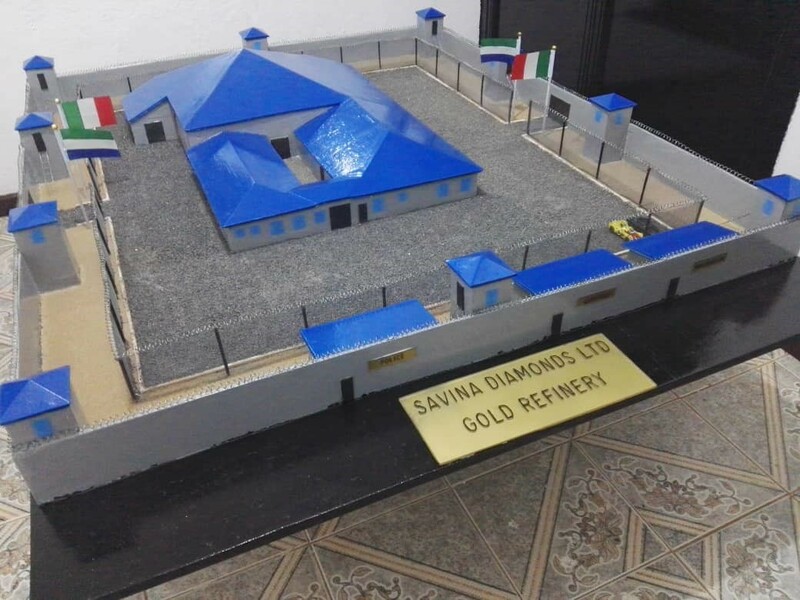 It is against this backdrop that Savina Diamonds Limited is poised to fill the existing gap in adding value to gold and diamond thereby making Sierra Leone an enviable spot for a gold refinery. The company has committed itself to make a major investment on a gold refinery in Sierra Leone, which will be a landmark in promoting quality export of precious minerals like gold and diamonds. The company will in the next two weeks commence the construction of a Gold Refinery at Hastings after it has already obtained a license to do business in the country. After seven years in exploring opportunities in the mining sector, especially dealing with gold and diamonds, Savina Diamonds is poised to sign an agreement with the government of Sierra Leone and ratified by Parliament to build a gold refinery in the country and operate a business centre that house all relevant players in the mining sectors as well as government representatives to see that the required procedures are followed before the required precious commodities are exported from the refinery hub at Hastings to the United Kingdom. Some of the institutions that will be housed are Mines Ministry/National Minerals Agency representatives, National Revenue Authority, Sierra Leone Police, a commercial bank etc. Currently, it has established its presence in Kabala in the Koiandugu District and Kono, and soon it will start operations in Kenema. “We want all the Miners and Investors to be under one roof to do their transactions,” says Foglio Giovanni, Chief Executive Officer of Savina Diamonds Ltd and added that they are going to have a 4, 000-meter squire refinery building with a depth of 26-meter squire underground. Sierra Leone has 10 to 13 tons of gold going to the black market annually. The country records an export of 125kilos of gold in 2018, and Savina hopes to improve on gold export as it has an estimated minimum of 8 tons per anum. Company authorities told the press that they will be spending over $6 million in constructing the gold refinery that will be fully equipped with state of the earth equipment and build the airport runway to accommodate direct flights from London to export the refined gold and diamonds. Savina hopes to train and build the confidence of miners with the assurance that it going to change their products, rather it will ensure fair play in the business so that the government, the miners and relevant stakeholders in the business will benefit. “We will also accept diamonds and build a safe business environment where there will be a bidding process to get the highest offer and certificates will be prepared for exporting diamonds to the United Kingdom,” the CEO revealed and added that the company will also be receiving gold from other ECOWAS Countries to be processed in Sierra Leone for export. The said commodity will be brought in at free of cost while taxes will be paid to the government for export. This will save the cost and time to travel to countries like the United Arab Emirate to do gold transactions from ECOWAS Countries. Savina Diamonds Limited is connected with Petterson Diamonds UK Limited, a company that works in diamonds and especially gold related to its companies in various African states, in Tanzania with Petterson Diamonds TZ Limited. The Objective of the company is taking gold to banking institutions and facilitates the collection, especially in Sierra Leone with the opening of both a local refinery with a capacity of 60 kg every 6 hours and facilitating microcredit on gold, all this will be performed in Sierra Leone. 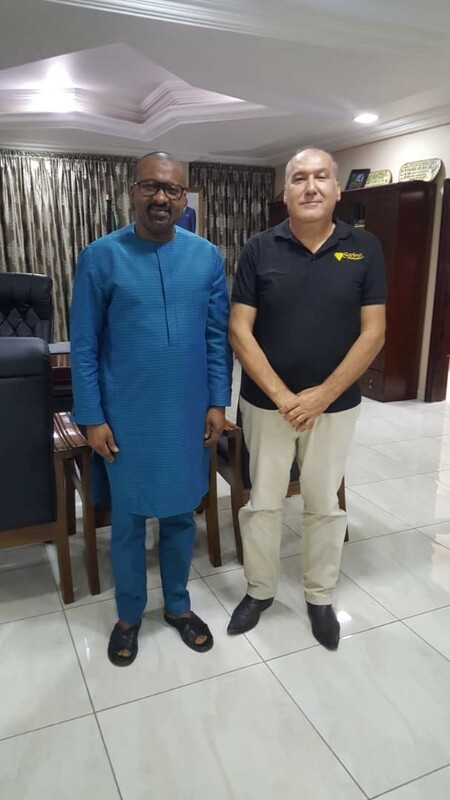 The Chief Executive Officer of Savina Diamonds, Foglio Giovanni is currently in Sierra Leone with his family to ensure the smooth running of their gold refinery investment. “We chose Sierra Leone because we have confidence in doing business in the country,” he remarked. He praised the support of government towards his interment plans and called for a stronger collaboration leading to the official start of the company’s operations in Sierra Leone.